Network Rail has joined forces with British Transport Police to launch a campaign aimed at reversing an upward trend in alcohol-related incidents on and around the railway. Keep a Clear Head is the key message of the campaign, which is being promoted by Network Rail, British Transport Police (BTP) and the Rail Safety and Standards Board (RSSB). The campaign has been created in a bid to cut the numbers of drinking-related accidents that take place during the festive period. Last year, there were 7,419 recorded alcohol-related incidents, an increase of 17 per cent on 2015/16. The festive period is the most risky time, with 16 per cent of all the incidents taking place around Christmas and New Year, according to Donna Mitchell, media relations manager (campaigns) for Network Rail. "As the festive season approaches we see a sharp rise in alcohol-related incidents on the rail network and our data shows that on average there are more incidents involving intoxication reported in December than any other month," she explained. "This campaign is part of our long-term strategy in collaboration with the British Transport Police and RSSB, to reduce the number of alcohol-related incidents on and around the railway." As part of the campaign, which launched yesterday (12 December), a video has been created from real CCTV that which shows people having accidents at rail stations. 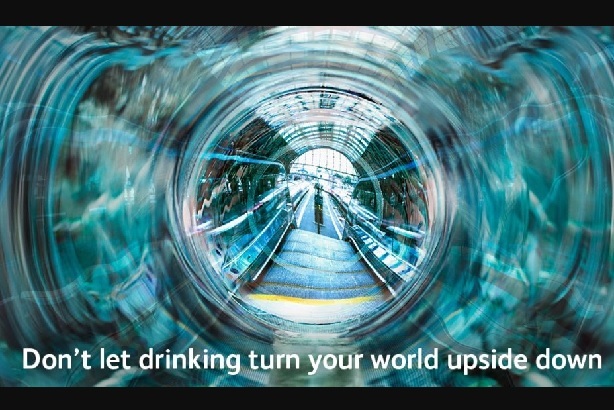 The two-minute film starts with the message "Don’t let drinking turn your world upside down: keep a clear head on the railway this Christmas", before showing a series of intoxicated travellers stumbling and falling onto the tracks, some narrowly missed by moving trains. Figures show that 21 people were killed and 91 people were seriously injured over the past 10 years due to alcohol-related incidents at the platform edge. Passengers boarding and alighting trains were involved in 469 alcohol-related accidents in the past five years. Network Rail and BTP are sharing the messaging on social media channels including Facebook and Twitter, using the hashtag #clearhead. Having a drink could cost you more than a hangover. It could come at the expense of your career, your relationships and your dignity. Can you afford it? At this time of year, ten percent of violent offences committed at railway stations involve alcohol. Meanwhile, the organisations are holding alcohol awareness events at Britain’s busiest rail stations in the run up to Christmas, with staff handing out printed materials to travellers. They also plan to target Christmas revellers in pubs and clubs near railway stations and level crossings with a reminder to ‘keep a clear head’. "We’re using a mix of marketing materials to reach our audience, with a particular focus on targeting key railway station locations that see a high number of alcohol-related incidents and level crossings that have close proximity to drinking establishments," added Mitchell. "We’ll be using our social media channels throughout the festive period to push out our messages. "We’ve partnered with Drinkaware, The Beer and Pub Association and Alcohol Concern and they will be supporting us throughout the campaign both on social media and through sharing our marketing collateral in their networks." Network Rail and BTP recently collaborated on a campaign to prevent suicides on the rail network, along with the Samaritans. Allison Potter-Drake, head of corporate comms at BTP, said: "Above all we want everyone to have fun and enjoy the festive period and we certainly aren’t against drinking alcohol. The aim of the campaign is to highlight the risks and consequences associated with excessive drinking on or near the railway. "We take alcohol-related incidents so seriously because of the impact they have on so many people, not only those involved, but other passengers, rail staff and our officers and other emergency services who have to deal with the aftermath. "If the campaign encourages people to think before they drink and stops them from doing something that might harm themselves or others, it will have been a success."